Froggy Tzedakah Purse perfect for carrying tzedakah money to synagogue or school. A great little Passover gift or reward for the Afikomen! Coin purse with giraffe face on front. Cute message "Penny for your spots!" A great grasping toy to help develop baby's little fingers while charming everyone else! A great baby gift! 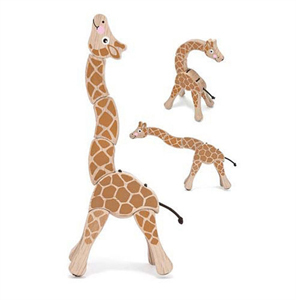 This is a mitzvah toy: proceeds will benefit giraffe preservation! Giraffes stick their necks out to make the world a better place! A great gift for toddlers, this soft book can be personalized with the child's name in both English & Hebrew.